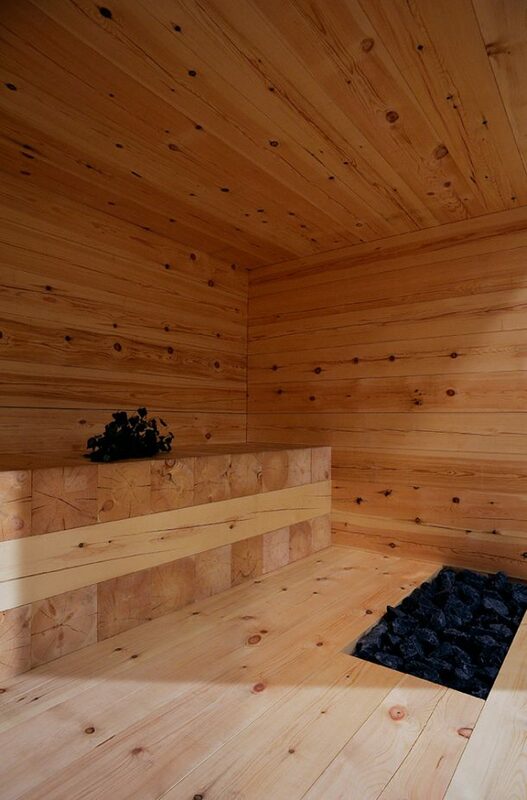 Kyly is an old Karelian word and means sauna or bathing. 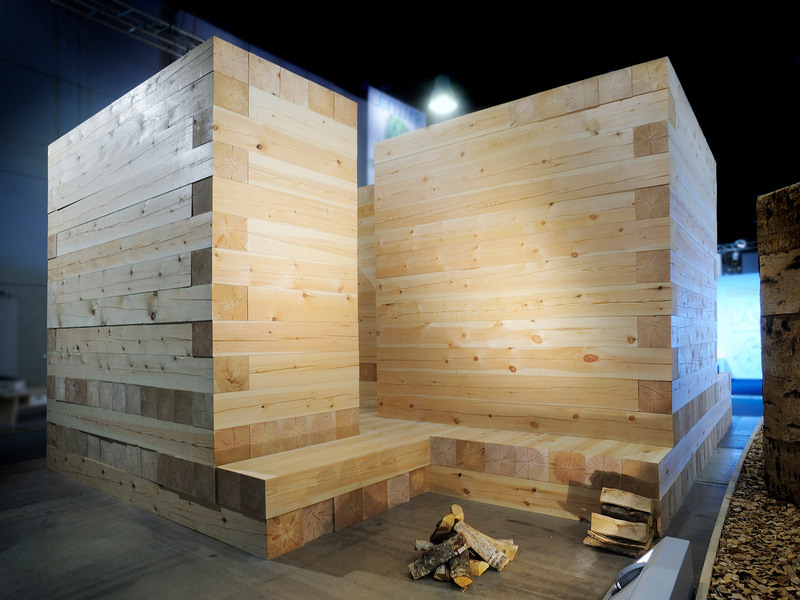 The competition entry for Habitare 09 design competition is built by simply laying massive logs over each other on a plot five by six meters resulting in an intimate composition of several spaces. Using a massive structure binds a lot of carbon dioxide. Moreover the structure is easy to dismantle and to put up again for future use. 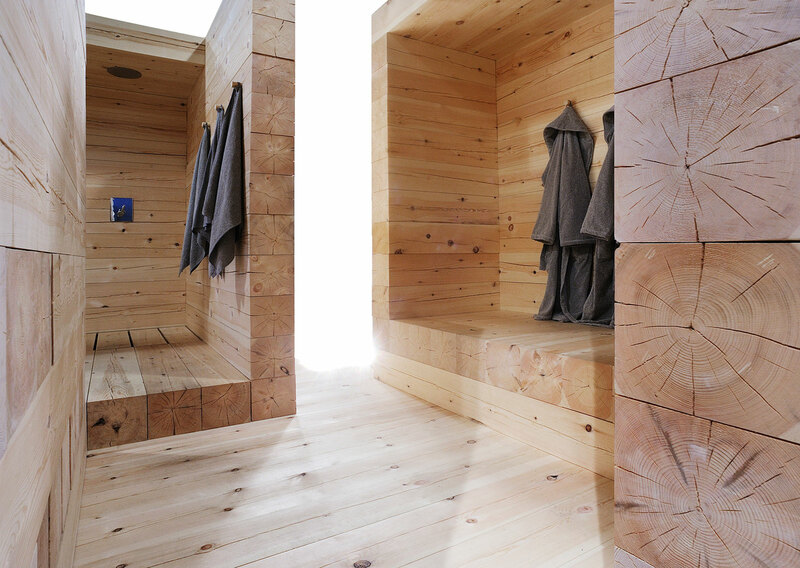 Kyly is a modern interpretation of a traditional log sauna. The sequence of spaces starts by stepping two steps away from the ballyhoo of the surroundings and entering an enclosed dressing room. 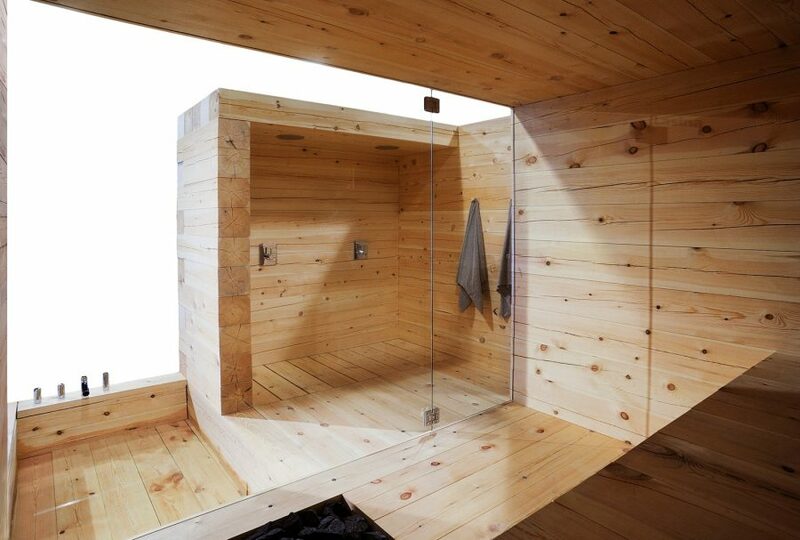 A shower space is set one step further. 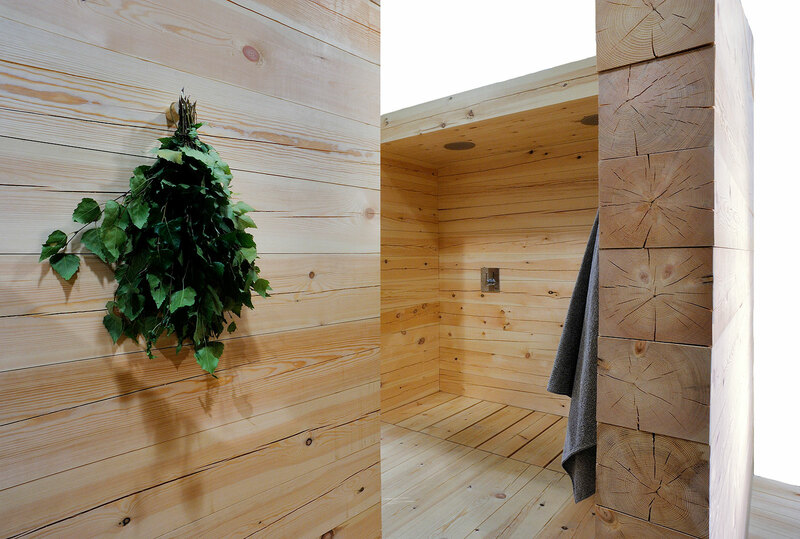 The most intimate space is uppermost – the sauna. 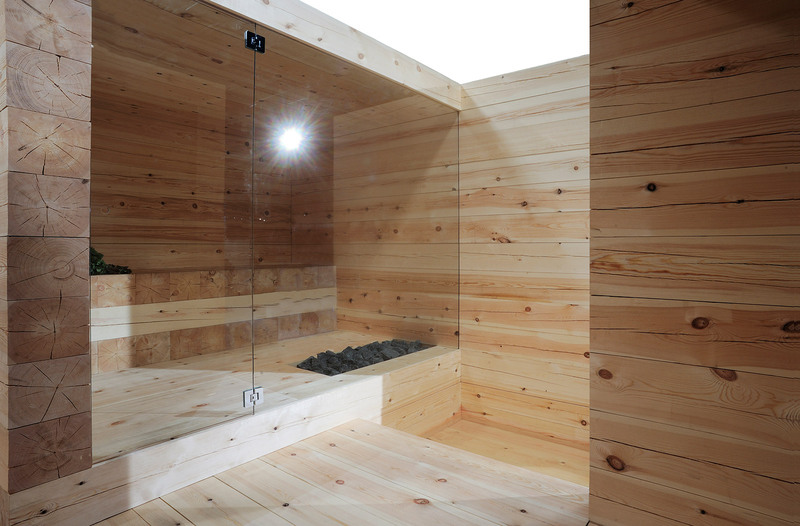 There is also a furo bath and an area for a fire. 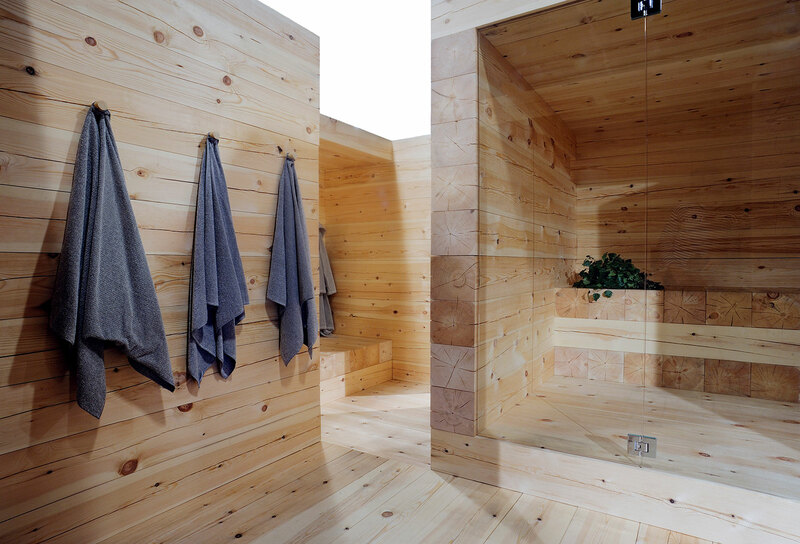 A rich composition of spaces is created with very simple means. 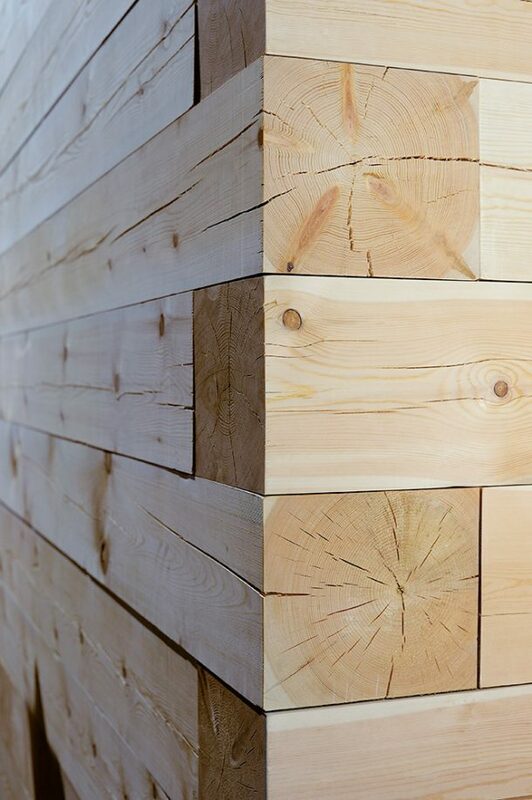 The smell, texture and acoustic properties of massive wood create a strong atmosphere – a calm wooden nest.